These laser-carved three-dimensional wood lake maps are one of our most popular and captivating products. 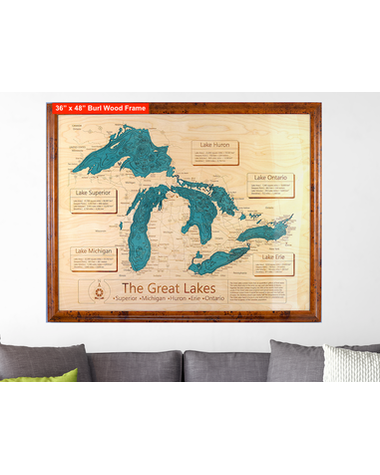 With top quality workmanship, there's no doubt these handcrafted lake art creations will make a stunning addition to your home décor, whether it's for your lake house, cabin or cottage. Ideal for that special gift or simply as an accessory for your own home. 3D Carved Wooden Lake Maps are fully customizable offering a truly personalized form of lake art that will be appreciated for the generations to come. 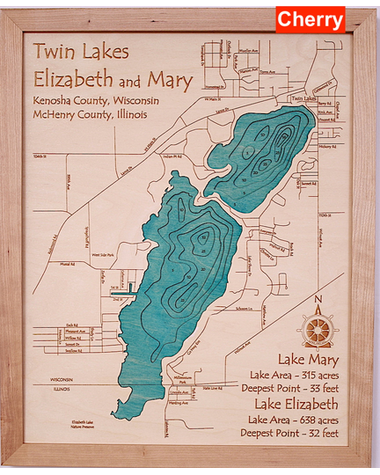 These unique products are handcrafted and cut using the latest in laser technologies. 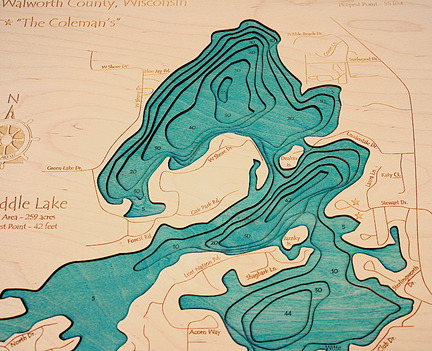 The science behind these fabulous lake art masterpieces is bathymetry, which is basically an underwater version of topography. We use a combination of lake surveys and topographic maps to replicate the contours above and beneath the water. 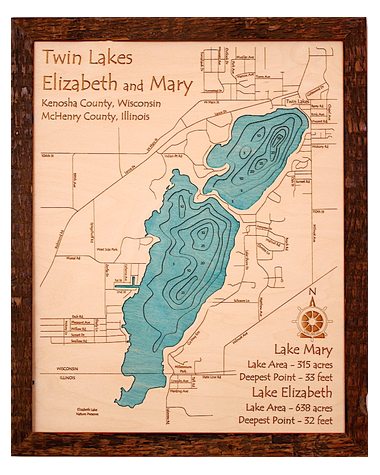 This complex process results in very precisely engraved wooden lake maps that perfectly recreate your lake in 3D up to eight levels deep. One of the great positives about our 3D carved wood lake maps is they are fully customizable to suit each individual customer. 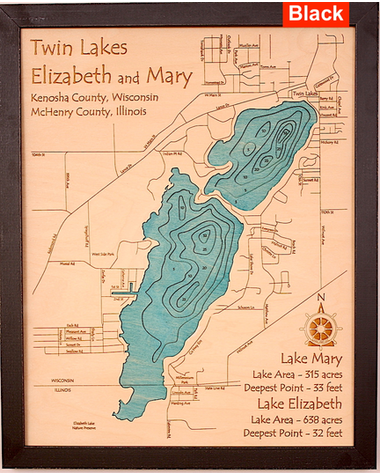 Designs can be personalized to include the location of your home, your favorite retreat, your name, or even local points of interest. This is an ideal feature for real estate agents, home builders or tourism operators, but equally as useful if you just want to show your friends and family where you live. We charge just $20 to personalize our existing designs and it only takes an additional 7-10 days to turnaround your customized design. We provide a proof for you to approve before we go ahead and create your lake art, meaning you are in total control of the process. With more than 4,000 United States and Canadian lakes available to order and more being added daily, you're sure to find your lake among our list of options. 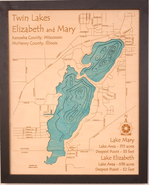 But, if you can't, drop us a line and we'll research to see if your lake is available to be made into a 3D or 2D lake topography map. 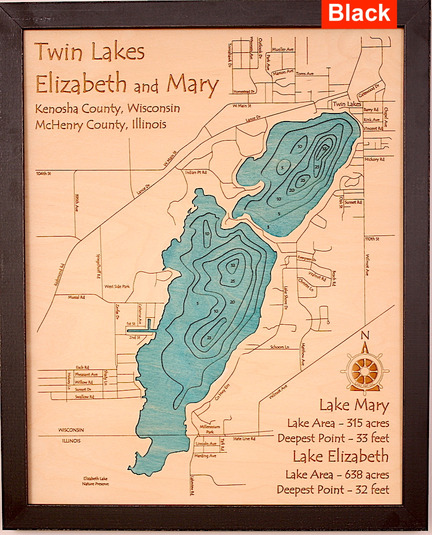 If a bathymetric survey is available for your lake, we can start creating your lake art (*$30 design charge applies). 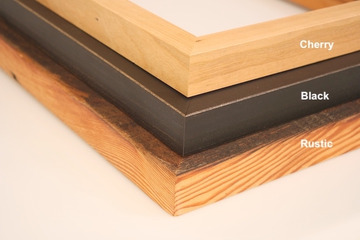 A range of sizes is available to suit any home. 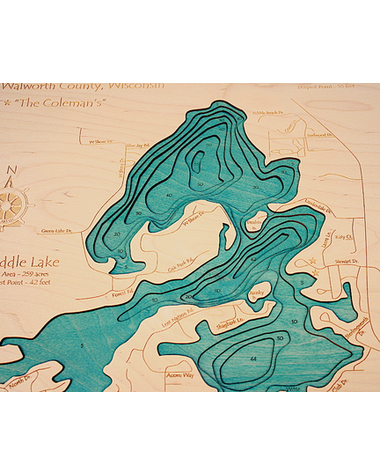 Each 3D lake map is made out of genuine Russian birch wood. 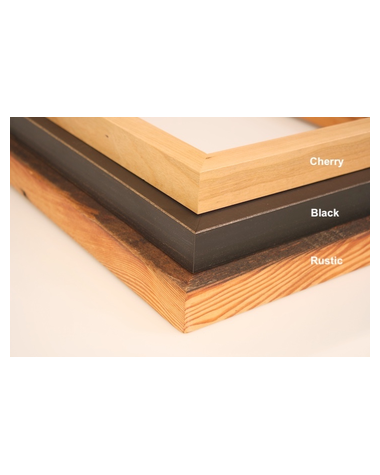 Unframed versions are also available, and this offers you the flexibility to add your own frame to suit your personal taste and style. 2D versions of the wooden lake maps are also available. 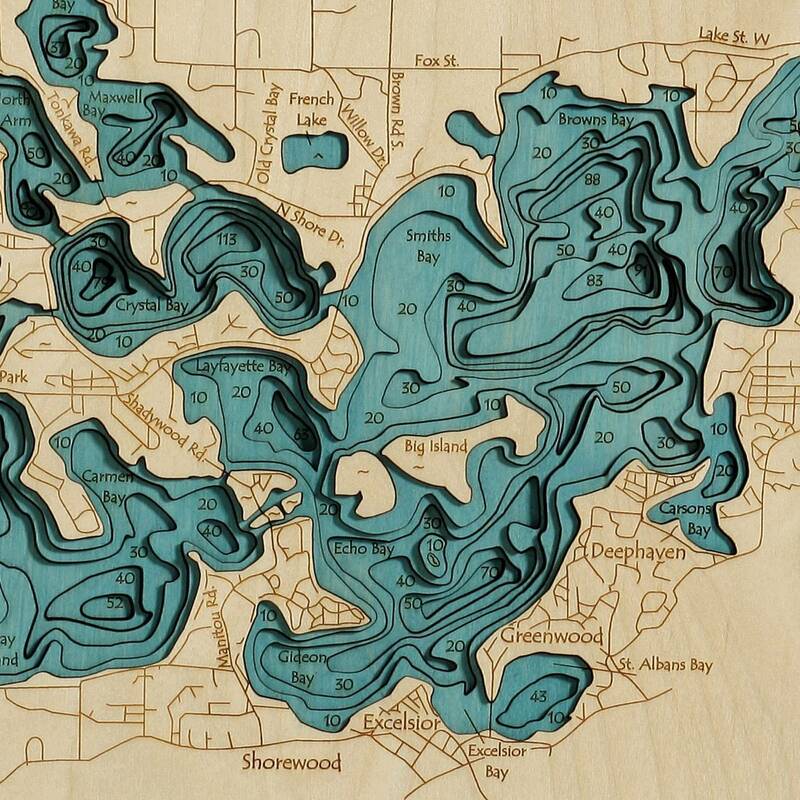 When will my 3D carved lake map arrive? Our wooden lake maps typically take two to three weeks to produce. If you're customizing your map, then add an extra 7 – 10 days. Got it today and my husband is absolutely THRILLED with it!!!! It is lovely and well worth the money too! Just lovely!!!! He said it is the best birthday gift he has every gotten and he was totally so surprised!! UPS brought the two 3-D maps this afternoon. They are wonderful. I couldn't be more pleased! The maps arrived in perfect condition. You are the first person, I have bought an excellent product from, that has taken the time to arrange for adequate wrapping and padding so the product arrives undamaged. Thank you. I can't begin to tell you how many things I have ordered for the library, that arrived damaged. Most were top notch quality products, like the wonderfully built, solid wood chairs that came wrapped in one tiny 1/16" thick piece of foam padding, or the Plexiglas book display bins that arrived with a piece or two of crumpled paper, on top of the bins. It is such a pleasant change to have something arrive safe and sound! 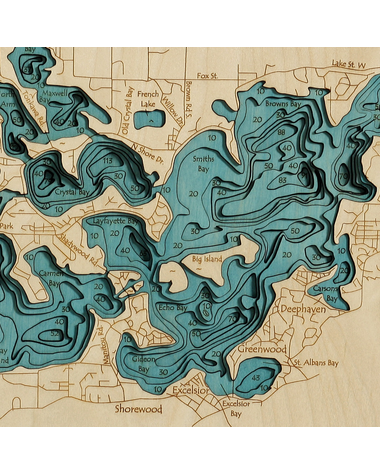 You had mentioned that you would try and draw in the contour lines for Tawas Lake but I never expected that you'd be able to show its depth in 3-D also. What a nice surprise. What a wonderful gift from our son. 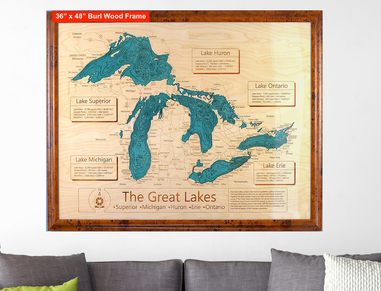 Love it, fun to see all the islands and depths in the lake. GREAT JOB!!! Very high quality maps. Used in a business setting and make a great conversation starter. Fast and secure delivery. Would buy from again.